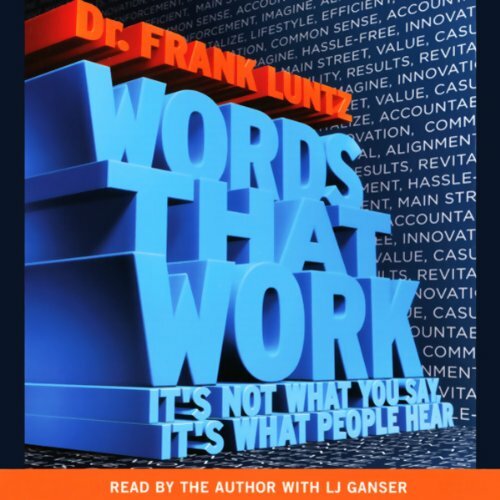 Dr. Luntz offers more than 70 new “words that work” for private one-on-one meetings with your boss, for public presentations to hundreds of colleagues, or for television appearances that reach millions. There are more than three dozen specific lessons and recommendations—and each one directly illustrates the nine essential action-oriented principles of winning at every level: People-Centered, Paradigm-Breaking, Prioritizing, Perfection, Partnerships, Passion, Persuasion, Persistence, and Principles. In politics, when reason and emotion collide, emotion invariably wins. 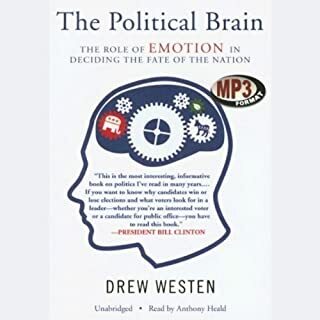 In this landmark book, scientist and psychologist Drew Westen shows how electorates vote not with their heads but with their hearts, and how the marketplace that matters most is the marketplace of emotion - filled with values, images, analogies, moral sentiments, and moving oratory. A New York Times best-selling author reveals how to find the right words for every situation. Whether you are making a budget request, interviewing for a job, ending a relationship, or talking to children about divorce, the crux of success in those and other crucial situations is planned, effective communication. No one in America has done more observing of more people than Dr. Frank I. Luntz. From Bill O'Reilly to Bill Maher, America's leading pundits, prognosticators, and CEOs turn to Luntz to explain the present and to predict the future. With all the upheavals of recent events, the plans and priorities of the American people have undergone a seismic shift. Completely revised and updated to tackle today’s issues, the 10th Anniversary Edition not only explains what framing is and how it works but also reveals why, after a brief stint of winning the framing wars in the 2008 elections, the Democrats have gone back to losing them, and what can be done about it. 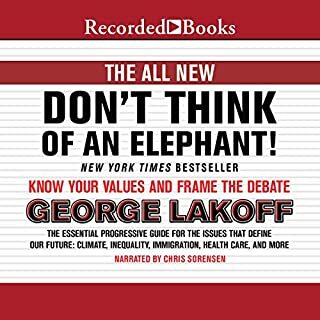 In this powerful new volume, George Lakoff delves into the issues that will dominate the midterm elections in 2014, the coming presidential elections, and beyond. This is a book for everyone who writes or approves copy: copywriters, account executives, creative directors, freelance writers, advertising managers, even entrepreneurs and brand managers. It reveals dozens of copywriting techniques that can help you write ads, commercials, and direct mail that are clear, persuasive, and get more attention - and sell more products. This thoroughly revised third edition includes all new essential information for mastering copywriting in the Internet era. How do you make a good lasting first impression and set the stage for a big contract, or sell products and services directly from your web site? The answer: by writing copy that leads your prospects in precisely the direction you want them to go. Renegade thinkers are crashing the gates of a venerable American institution, shoving aside its so-called wise men and replacing them with a radical new data-driven order. We’ve seen it in sports, and now in The Victory Lab, journalist Sasha Issenberg tells the hidden story of the analytical revolution upending the way political campaigns are run in the 21st century. The nation's premier communications expert shares his wisdom on how the words we choose can change the course of business, of politics, and of life in this country. 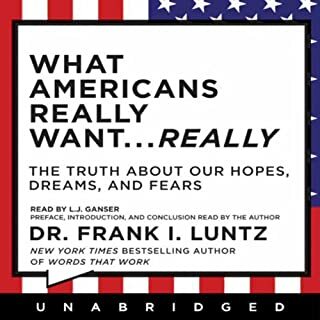 In Words That Work, Luntz offers a behind-the-scenes look at how the tactical use of words and phrases affects what we buy, who we vote for, and even what we believe in. 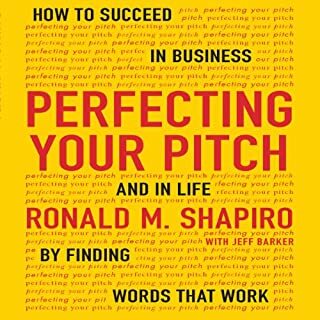 With chapters like "The 10 Rules of Successful Communication" and "The 21 Words and Phrases for the 21st Century", he examines how choosing the right words is essential. 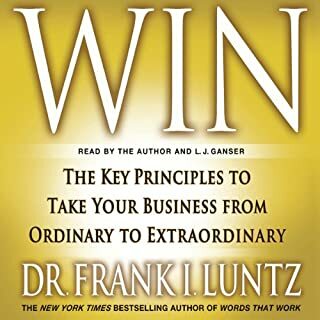 Nobody is in a better position to explain than Frank Luntz; he has used his knowledge of words to help more than two dozen Fortune 500 companies grow. He tells us why Rupert Murdoch's six-billion-dollar decision to buy DirectTV was smart, because "satellite" was more cutting edge than "digital cable", and why pharmaceutical companies transitioned their message from "treatment" to "prevention" and "wellness". If you've ever wanted to talk your way out of a traffic ticket or talk your way into a raise, this audiobook's for you. The main point and supporting material as already discovered by the end of the first chapter or two. Much of the material is repeated over and over and over and over... The author has many good points about word choice, but unfortunately often does not follow his own advice. His tone is often so self-aggrandizing that it is embarassing to listen. It is also a shame that much of the effort behind his choice of words is not to improve communication of ideas, but to obscure ideas in pretty wrapping so the (apparently ignorant) public may more easily consume them. I learned from the book, but it took too long, and I felt soiled after listening to it. It's not what you say it's what they hear; there, you've got it, no need to buy the book. Unless you want a 6 hour review of political word-smithing of past presidential campaigns. If you plan on running for President in 2008 this is a MUST read, otherwise this book does not live up to its title. It takes this guy 4 hours of blabbering to give you 21 "words that work" that are actually concepts...then he tells you 20 political phrases not to use and replaces them 20 other. 95% of this is wordy boring political stories. Unfortunately, there is no real 'meat' in the book. I kept waiting for something more, and it was never delivered. Pretty much a waste of time and money. This book listens well. It reinforces the concepts because the hearing of words that work is more powerful than reading the same words on a page. The author should renew your committment to think before you speak. Words have emotional impact and cultural subtext. The meaning is in what is heard, not what the speaker meant. The examples are very clear, showing how great communicators were effective and how the same smart people were derailed by using the wrong words. It was even better than I expected. I thought I would pick up a few phrases to use in business and social settings that would really get my point across. To my surprise there were marketing tips and affirmations that some of our word usage strategies are effective word choices. I highly recommend this book. The author certainly uses many "words that work" to sell his book. I quit after an hour. It reminded me an endless TV informational, that one can count on at 3 a.m. I want to ask the author 'where is the beef?" It's not what people say, it's what they hear. You will learn this in the very beginning of the book. It is the best part of the entire book. This book has a lot of political talk which for me was not very intersting at all... I would have better enjoyed a little more info, a little less political example. He also very much enjoys talking about himself... For me, this book was 5% good information, 95% blah blah blah. Before I bought this audio I thought of Frank Luntz as a wizard of the English language. As I listened to the book I realized that I was more a victim of Mr. Luntz's self promotion. There is nothing new in this book. If you have ever read a book on influence and persuasive writing then you will likley hear the same stuff here. 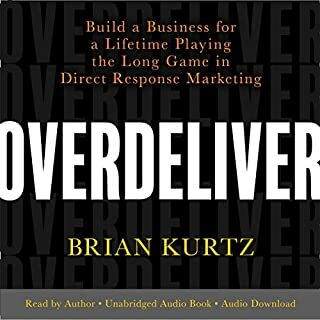 Luntz only narrates a small portion of this audio book - a disappointment since I really like his work and I am used to hearing his voice. Sorry but the other narrator's voice is just almost grating.